Google has launched one of its biggest multi-product overhauls in quite some time with the release of Google+ Local. The new, more social, offerings will replace the current Google Places pages and brings the importance of its Zagat acquisition to light. Google+ Local now becomes a new tab within Google+, and also weaves itself into results when searching for venues on Google Maps and Places. Today, we’re rolling out Google+ Local, a simple way to discover and share local information featuring Zagat scores and recommendations from people you trust in Google+. Google+ Local helps people like my husband turn a craving—“Wow, I need brunch”—into an afternoon outing: “Perfect, there’s a dim sum place with great reviews just two blocks from here. Let’s go.” It’s integrated into Search, Maps and mobile and available as a new tab in Google+—creating one simple experience across Google. As the team mentions, the new Local product is completely social, leveraging all of the places that your friends, family members, and colleagues have reviewed and visited themselves. While the social aspect of Local (activity from your Google+ circles) will weight what results you see, the product makes discovery easy even if you don’t care what your friends think. In addition to all of the social hooks having to do with Google+, Zagat reviews are the absolute centerpiece of the new product. The company has been pulling in reviews from all different sources, surveys, and written submissions for about 32 years, so there’s a lot of information to be integrated. 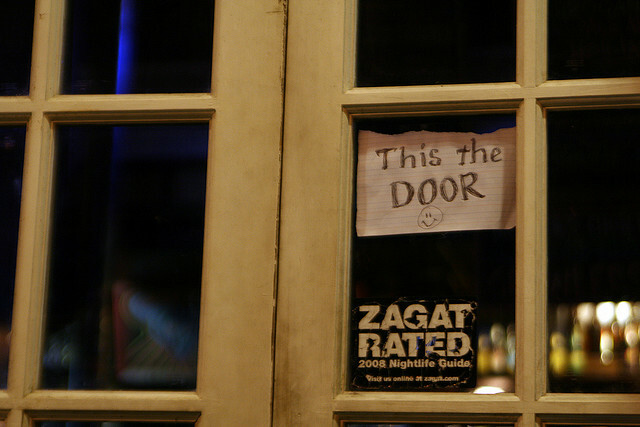 When you find a venue through Google+ Local, you’ll see the Zagat rating based on its 30-point scale. No longer will you see the Google Places five-star rating system, which was difficult to decipher. For restaurants, the Zagat score is broken up into categories like food and decor so you can make the right decision for yourself. Of course you’ll be able to add your own reviews on this scale, as well as upload photos from the places you’ve visited. The new local experience is available in its Android app, with iOS following soon. Also, business owners can still manage their listings the same way that they always have, but the system will change in future iterations. As we’ve noted before, this is just another in a long line of moves by Google to streamline its services and string them together with Google+ serving as the glue. It’s also a way for Google to get more of its search users giving Google+ a shot, so it’s a potential win for the company in that regard as well. The team tells me that more changes are coming soon, but this is obviously the first step to creating a nextgen local product. It’s a pretty huge step too, and if you’re looking for places nearby, you’re probably already using products like Google Maps to find your way there. While foursquare might be safe, this product is clearly going to take a massive bite out of Yelp.